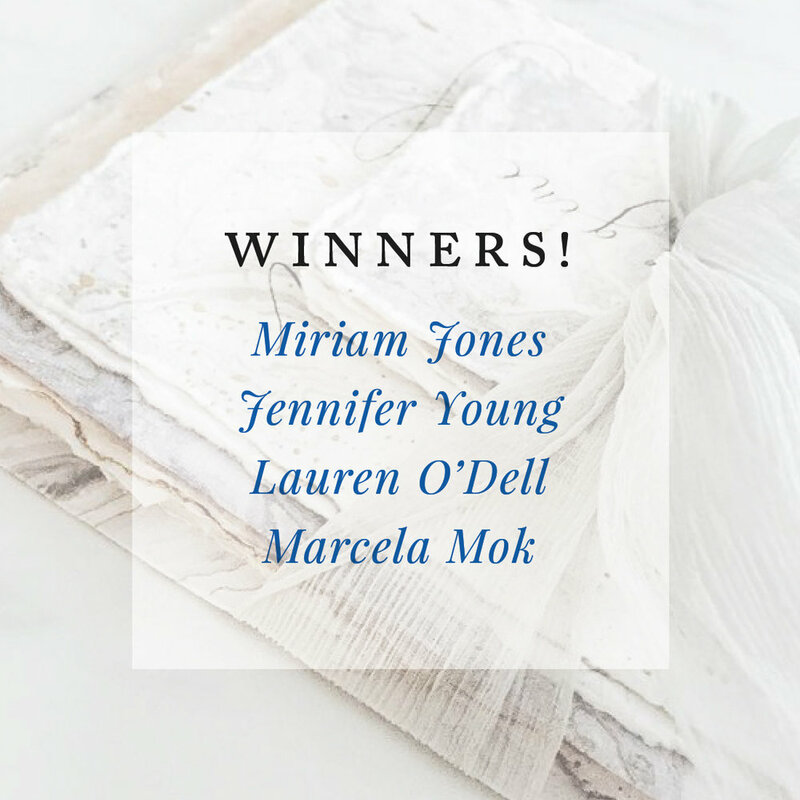 We've teamed up with Fabulous Fancy Pants & Uppercase magazine for a new giveaway! Fabulous Fancy Pants is giving away 1 pound of their handmade cotton paper to 4 lucky winners. Isn't that, well, fabulous?! This beautiful handmade paper is made of 100% cotton rag using post-industrial cotton textile remnants from India. Each piece is handmade on an individual screen with beautiful, natural deckled edges. As if that weren't enough, UPPERCASE magazine is giving away their beautiful poster, The Abecedary of Writing, as a free download to all Calligrafile readers! Follow the instructions below to enter our giveaway and get your free download. 2. Like our giveaway photo on our Instagram. • Leave us a comment with your favorite creative resource (art supply, website, book, or class). • Download the high-resolution 11x17-inch file of The Abecedary of Writing. Four winners will be randomly selected and announced on Calligrafile's Instagram ‪on Thursday, December 1st.‬ This giveaway is open to anyone in the world. Four winners have been selected at random. Congratulations to the four winners named in this image! Stay tuned for our upcoming giveaways — we've got a lot in store!